We all want to understand why we’re paying for what we’re paying for. From an exquisite steak to concert tickets to mortgages, any time we make an investment, we want to know what we’re investing our hard earned money in. And we deserve to know. Arts and Culture — Museums, orchestras, theaters, etc. Faith-Based Organizations — Religious groups such as Jewish, Catholic, spiritual, etc. As you can likely tell, prospect research can have a positive impact on a range of nonprofits and fundraising organizations. As with any purchasing decision, your nonprofit doesn’t want to jump in without performing its due diligence. 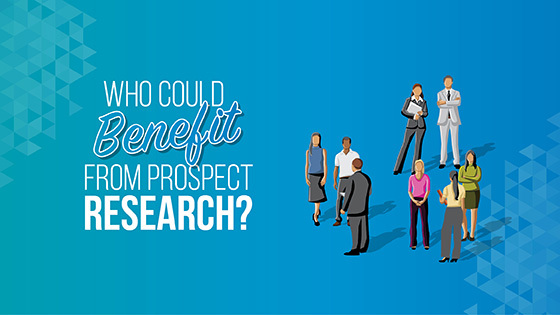 Part of that process needs to involve evaluating if your organization is in a good position to truly take advantage of all the benefits that come with prospect research. Have money in their budget and are shopping for a screening service. Have the proper systems and staff in place to manage the data. Have a database of at least 3,000+ donors. Receive new prospects every year. Want to convert annual fund donors to major gift prospects. Once you’re ready to implement prospect research, it’s time to determine what services you want, choose a company, and settle on a fair price. Take prospect research out for a spin with a free demo of DonorSearch’s prospect research tools! 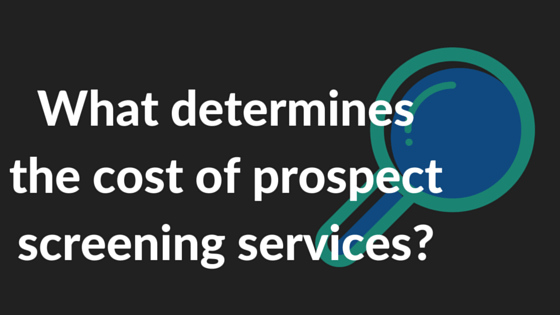 What servics go into the cost of prospect research services? A good company will help you incorporate their service into your general workflow. DonorSearch provides such support. Predictive models tell you who is likely to give, so they’re rather essential to successful prospect research. Some companies charge extra to apply this service to the records they assess. DonorSearch includes predictive modeling for free. Don’t underestimate the value in having organized, accessible results! You can organize donors’ charitable gifts to other nonprofits according to nonprofit description type, making predictive analysis easier. The relationship score demonstrates the strength of the prospect’s existing relationship with the nonprofit. Analytics and rankings are included is a DS rating, quality score, and RFM total. With editable and detailed profiles, you have more control over your profiles. In other words, you have the freedom to customize your donor profiles. Giving capacity estimations should be made based on a combined analysis of giving and wealth components. It’s crucial to remember that both philanthropic indicators and wealth markers play significant roles. Customer support is there for when you need a real human to solve your problems, such as verifying your results or for technical issues. DonorSearch provides free and unlimited customer support. It’s essential to learn how to use your new search tool. DonorSearch provides free and unlimited training via webinars, reference manuals, and customer support. Each of these ten services should empower your nonprofit to raise more money from existing and prospective donors alike. Some companies charge to view the data for a certain amount of time after they screen your prospects, so check what’s included in any package before you purchase. DonorSearch includes unlimited data access for an additional $0. Costs can vary depending on how many donors are being researched, so be selective about who you choose to screen. There’s also a difference between bulk and ongoing screening. A bulk screening is when you have certain times of the year when you conduct your prospect screening. Some organizations screen once a year, such as around the new year, while others screen three or four times per year. Bulk screenings are good for organizations who don’t receive regular major influxes of potential donors. They should be performed on a regular basis to keep records updated. Ongoing screenings are good for pledge drives, grateful patient programs, and universities. Essentially, ongoing screenings work well where fundraisers are constantly presented with new prospects. Prospects can be screened hourly, daily, weekly, monthly, or whatever works with your schedule. DonorSearch offers Live Audience Analytics to help pledge drives screen prospects year round, and our Daily Patient Screening allows hospitals to identify new and recent patients as major gift prospects before the gratefulness for their care wears off. Companies will have a real person manually check to ensure the accuracy of your results. 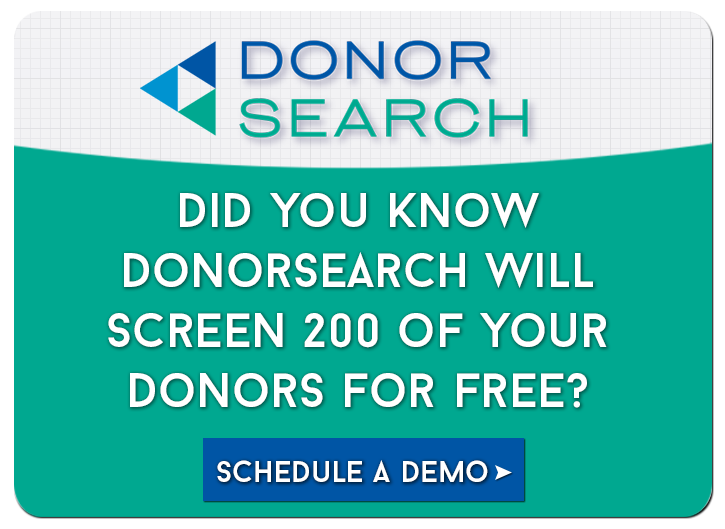 DonorSearch provides your first 100 manual assessments free of charge, but this is an upsell for many companies. Some companies limit how many of your employees can use the software or charge more for additional usage. DonorSearch provides unlimited access to all employees of nonprofits with less than $5 million in revenue. Many services require a subscription fee for a set number of months, or, at the very least, you have to pay a subscription fee to access their online tool. The total cost of a prospect research company depends on the services you want and what the company charges for those services. 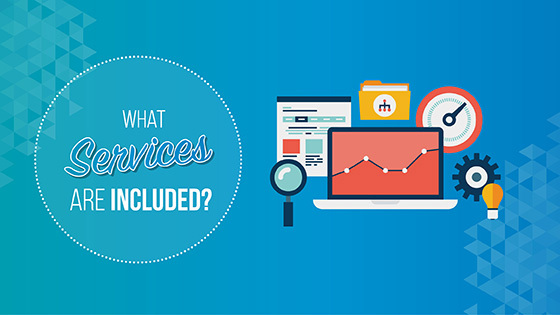 If you want a lot of add-on services, then you’ll likely pay more. Shop around for the company that both fits your budget and satisfies your data needs. There are too many potential donors, and there is too little time. Even if you have a team of prospect researchers empowered with the proper tools, it’s no easy task to sift through hordes of data in order to decipher your best major gift prospects. You need to know where to travel, whom to take out to lunch, and whom to invite to your big events, and you don’t need to be wasting time on the wrong prospects. Research companies also provide levels of support, such as manual reviews, that may be a struggle for an internal team. Prospect research not only delivers information fast, but it also organizes the data and provides prospect scores, such as DS Ratings and RFM Totals, to make it a snap to identify the best potential donors. The time saved allows you to dedicate more resources to other fundraising efforts. 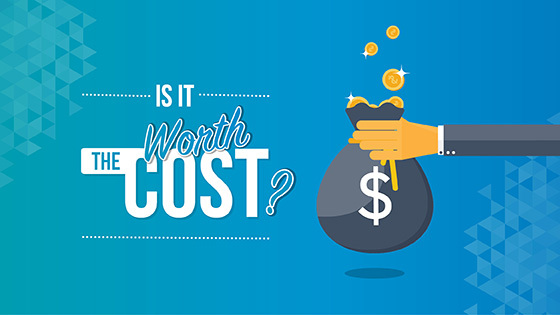 When you hear the word cost, you might think money, but time is a factor, too. When selecting a research company, it’s critical to evaluate what should be included in a package and what’s worth paying extra for. 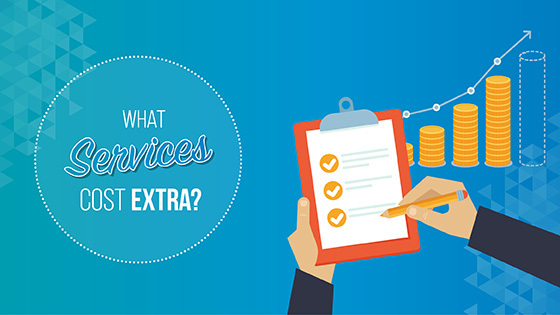 Extra features that enhance the user experience are fair to pay more for. However, if features are necessary for getting the bare necessities out of the software, then why would you pay more for them? 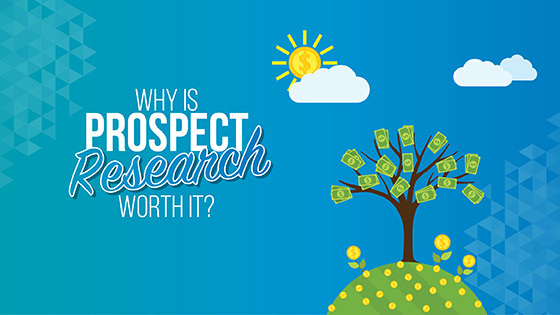 And keep in mind, prospect research doesn’t cost as much as you think. In fact, prospect research pays for itself. Imagine Nonprofit ABC, which seeks to increase literacy rates in poor communities. ABC pays a few thousand dollars for prospect research and returns a solid list of potential major gift donors. If ABC converts a mere handful of those prospects into donors, then the research is covered and then some. A few donors is a very attainable goal, and prospect research tends to return a lot on the investment. Make sure that you get what you need at the right price. Prospect research is not intended to be an overwhelming cost but a boon for your major gift fundraising.